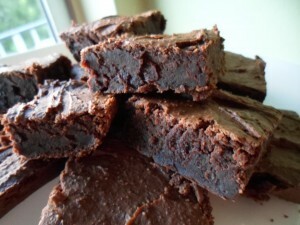 I have been looking at recipes for black bean brownies for a long time but I have been kinda afraid to try them. I love black beans but I was afraid I was going to still taste them and be disappointed….and a disappointing dessert is just the worst. I decided to go for it because black beans are naturally low in fat, and high in fiber and protein. They provide a host of many other nutrients and antioxidants that many americans don’t get enough of, so as long as I can hide the black bean flavor, no one will know all the extra secret nutrients they are getting. Preheat oven to 350 degrees and spray a 8×8 inch glass baking pan with cooking spray. Add all ingredients except for the chocolate chips in a food processor or really good blender and blend until uniform with no chunks. Fold in chocolate chips and pour into glass baking pan. Bake for approximately 30 minutes or until completely cooked. 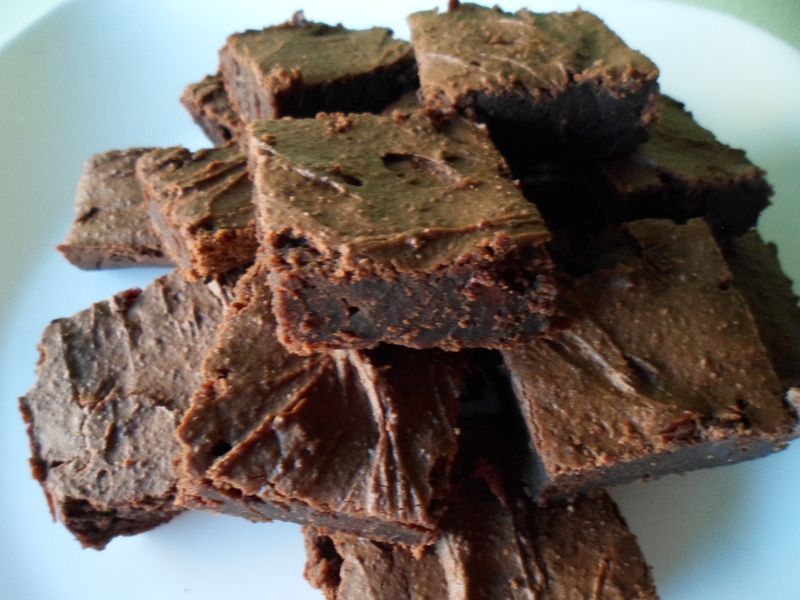 Brownies should start pulling away from pan edges, little cracks should form across the top and toothpick inserted into center should come out clean when done. Enjoy!